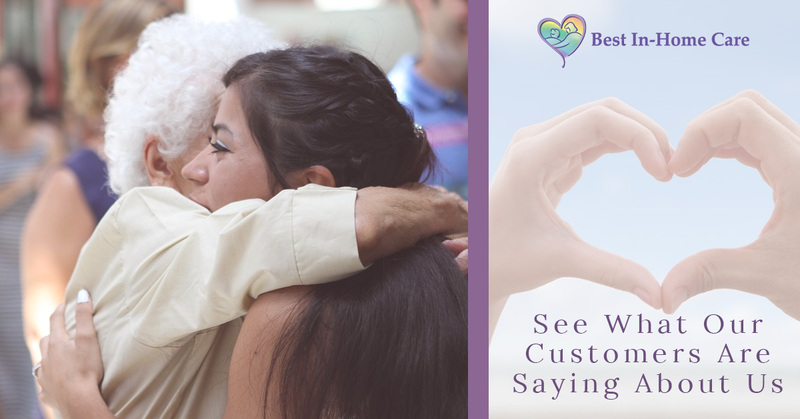 As a home care services provider, we here at Best In-Home Care rely on the satisfaction of our customers to generate our reputation — and luckily, we have extremely satisfied customers. If you are looking for home care for a loved one we urge you to search “home care Lubbock” and see what our customers have to say about us. In today’s blog post we would like to give you a quick look at some of the reviews that have received in the last couple of years. Thank you, Kathy. Our mission as a home care assistance company is to help people just like your father stay at home, for longer. To age in place is to be comfortable, and it brings us great joy that we could do just that for your father. Additionally, thank you for praising our employees. Our kind staff works extremely hard to provide a quality of care that is second to none! Thank you for your kind words, Duane. We are very happy to hear that our staff did an excellent job providing home health care services to Elsie. It is our goal that whenever we in-home health care that we make our patients feel cared for and comfortable. If there is anything that we can do for you in the future, be sure to give us a call. Thank you, Karin. When we provide home care to your loved one we see it very important to keep your family informed, after all, you are concerned for the health of your loved one — that is why we are here in the first place. Not only will we respond to your in-home care questions, but we will also go out of our way to periodically update you on any pertinent information. Let Best In-Home Care Help You! As one of many home health agencies in the area, we set ourselves apart from others with the quality of care that we provide. We truly do care about our patients and their families, so if you find your loved one needing help, just know that we are the perfect home care provider for the job.